To register please visit teexsafety.org or call 1-800-723-3811 for more information. Click here to view our 2016 TEEX Schedule. 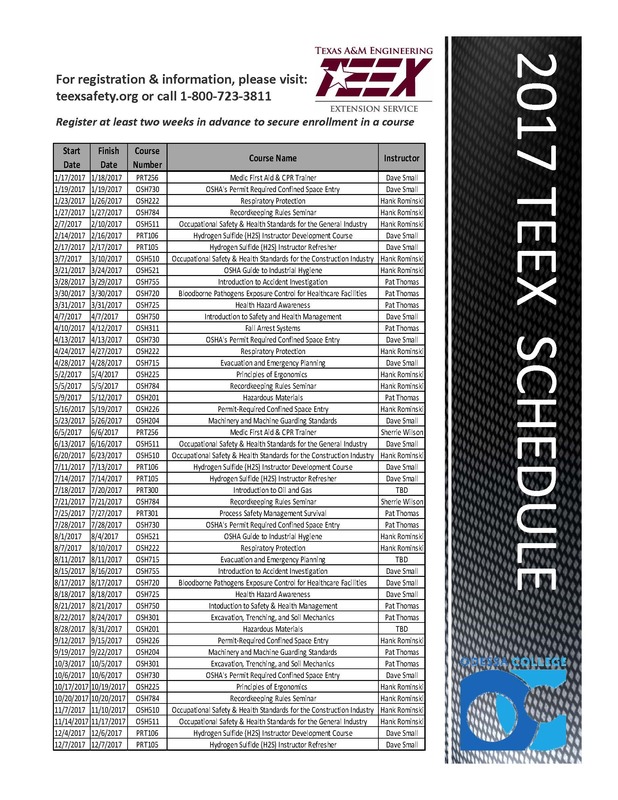 Click here to view our 2017 TEEX Schedule.